Have you ever tasted a good coffee in your life? Don't say yes if your best coffee was in either Starbuck or Coffee Beans. I mean a real good one, does not matter its a street coffee, a cheap one or a super expensive one. Just a plain good coffee. Perhaps, you would like to try this place. 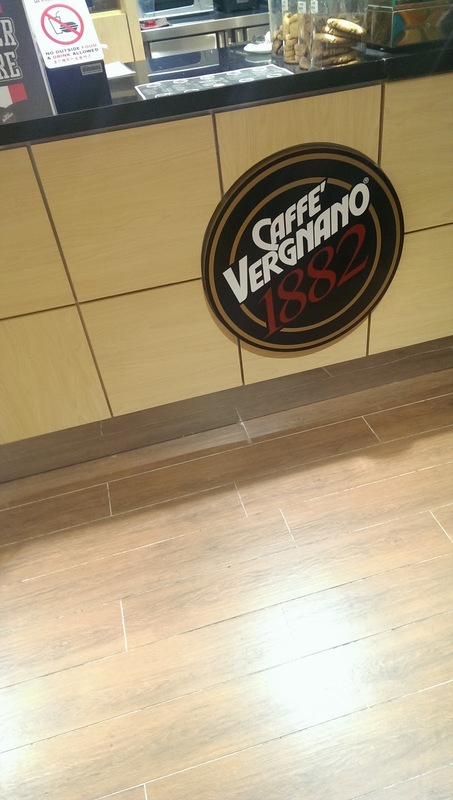 It was called Caffe' Vergnano 1882. 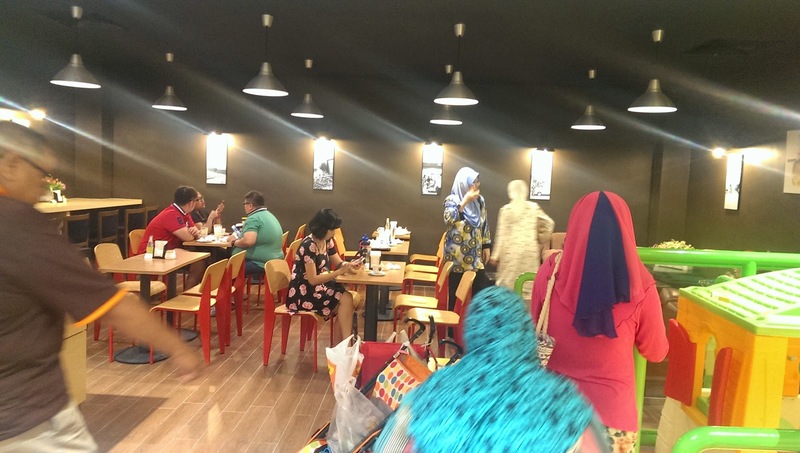 It was open recently in Imago Kota Kinabalu just beside Everrise at basement floor. I was attracted to go to that place because it has a playground in front of it for little children to play. So why not? Sit back and relax, sip of coffee, while your child playing inside that playground. This place one of the best coffee I ever had in my life. I can't describe it, but you will know when you try it. This place does not look like a place where you can get the best coffee. If you starbuck logo you would think they have the best coffee right? Wrong. Just a few table and a family friendly enviroment for you to relax. As for now, not that many people came to this place. Its new so finding a spot to sit is not a problem. 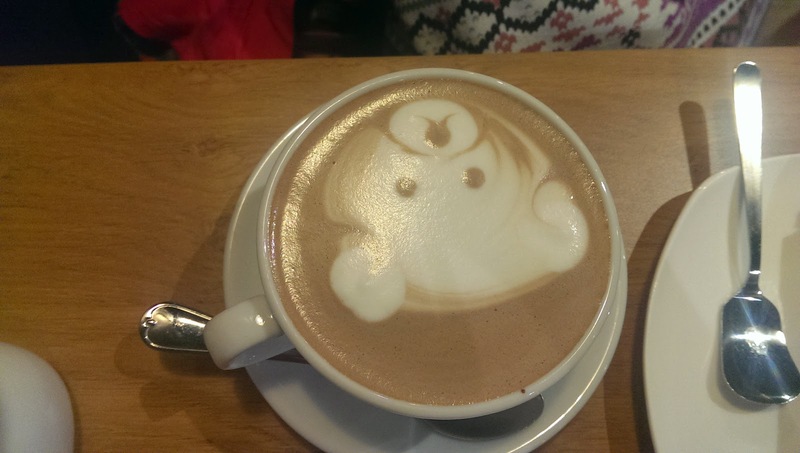 My wife Hot chocolate comes with a bear face. She did not drink coffee so hot chocolate was her substitute for coffee. Try their Espresso Lungo if you had a chance to come to this place. Or their cappucino. My dad love their Americano but for me Americano is just an espresso with extra water. Price range. From RM6 to RM15. For RM 6 you can get Espresso perfetto, a one shot coffee drink that can give you insomnia. Add RM1 for RM7 you will get Espresso lungo, double shot coffee purity. They also have tea, Ice tea, Ice blended coffee etc. To be honest, if you are a real coffee drinker, espresso would be your choice right? 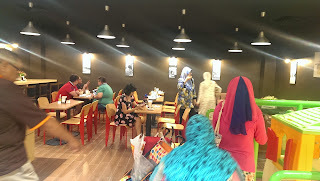 They also have a few snack such as chicken pie, tuna puff, muffin and cake, all price range at RM5-RM8. All price inclusive of GST, I guess, because they did not charge yet. If you are a coffee drinker who drink nescafe or all the 3-1 kind of coffee, maybe you can continue drinking that. But if you are looking for a real pure coffee with a reasonable price, I really recommend this place.